Come join us at Viewridge Park for Wedgwood Drama Studio’s Theater in the Park Summer Camp! We’ll play theater games, build original characters, explore movement and scene work and learn what it takes to create an original performance all in the beautiful outdoors! 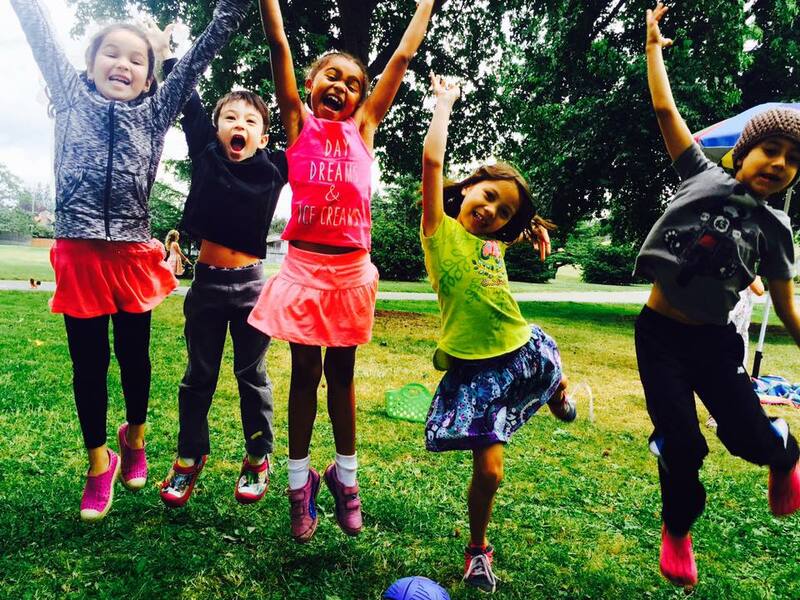 In addition, we will have playground time, art, singing, dancing and a lot of fun Camp is led by Wedgwood Drama Studio’s Founder and Director, Christi Cruz, and rotating local Seattle Teaching Artists. Theater in the Park performances for families are on the last day of camp at 2:30pm. Camp fills at 18 on a first come first serve basis. Hope you can join us! We would love to have your child join us for a class. Please complete the form below to register your child. Please note, registration forms will be processed in the order they are received. Classes do have size limits. We will contact you directly to confirm your registration. Registration will be complete when we receive your payment. I hereby give permission to Wedgwood Drama Studio to photograph and video my child while involved in class activities and performance and I hereby give authorization to Wedgwood Drama Studio to use such photographs for ALL promotional use - website, brochures and/or other publicity purposes. WDS Class/Camp Cancellation Policy: Your payment includes a $40 non-refundable registration fee. You must cancel two weeks before class/camp begins to receive a refund minus the $40 registration fee. If you cancel with less than two weeks’ notice, no refund will be given. If after attending the first day you decide the class/camp is not the right fit, please let us know before the second class/camp and we will refund your tuition minus the registration fee. Cancellation by WDS: If enrollment for the class/camp is insufficient, we reserve the right to cancel the class/camp. In this case, tuition including the registration fee will be refunded in full.